Jarco Roofing & Solar built this commercial flat roof for a Temecula area client. 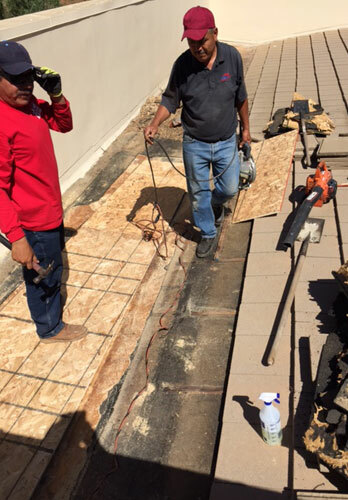 All of our flat roofs are built in compliance with California's Title 24 "cool roof" requirements and NRCA's standards. 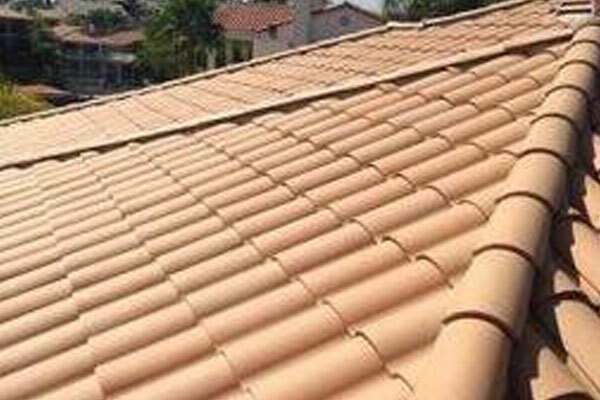 Jarco Roofing & Solar are experts at tile roof installation in Canyon Lake, Menifee, and surrounding areas. We also provide tile roof inspection, repair and maintenance services for homeowners and business. Jarco Roofing & Solar offers comprehensive roofing services and solar panel installation. In Costa Mesa, CA we tore off the existing rock roof and re-roofed this home with composition shingles. After completing the re-roofing we installed solar panels on the new roof. Jarco Roofing repaired and cleaned this damaged gutter for a home in the Menifee area. We help our clients protect their roof by cleaning, maintaining, and repairing gutters. We can also clean and maintain solar panels and skylights. Jarco Roofing & Solar completed this re-roofing in Menifee, CA. We removed the existing solar system, tore off the old roof and installed a new roof made from composition shingles. These shingles are backed by a 30-year limited lifetime warranty. After installing the new roof we re-installed their existing solar system. We completed this re-roofing for a residential client in the Inland Empire. We tore off the old roof and replaced it with a new durable roof. Jarco Roofing & Solar's quality craftsmanship and competitive prices make us the best value for roofing services in Menifee, Murrieta, Wildomar, Lake Elsinore, Canyon Lake, and surrounding cities. 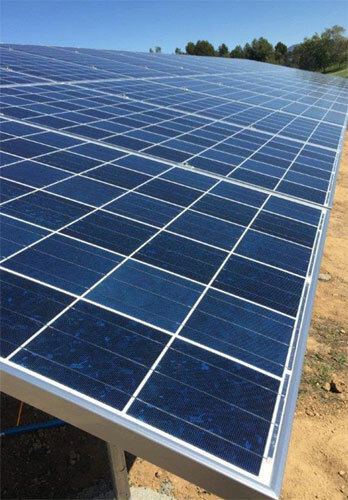 We installed these solar panels on a ground mount for a five acre property in the wine country. We customize all of our solar panel systems to meet the specific needs of our clients. 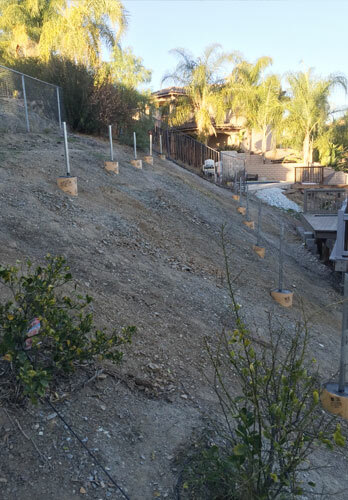 These solar panels are installed down a slope and aren't visible from the home, allowing our client to enjoy monthly energy savings without imposing on the look of his property. 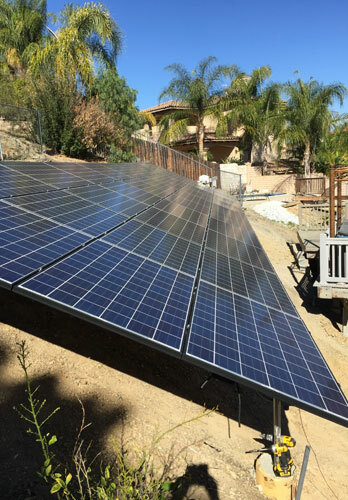 Our client wanted solar panels installed on a solar ground mount in the backyard of their Canyon Lake home. The solar panel installation was done in three stages. In the first stage we installed the footings and standoffs to secure the solar ground mount. 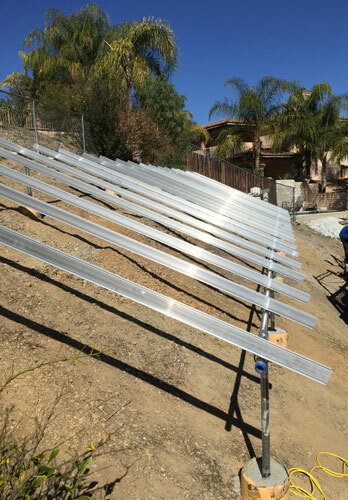 In stage two of the solar installation process we installed the rails to prepare the mount for the solar panels. At Jarco Roofing & Solar we pay close attention to every detail to ensure that every solar panel is properly and securely installed. 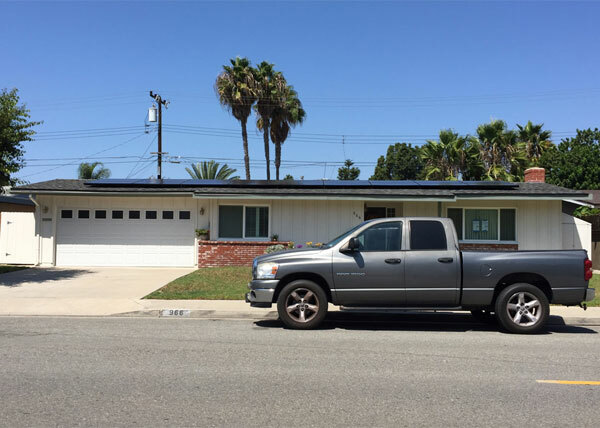 Jarco Roofing & Solar completed this solar panel installation in Canyon Lake, CA. In the final stage of the process we installed and secured the solar panels to the ground mount. Our client is now saving money on their monthly energy bill because of these solar panels. 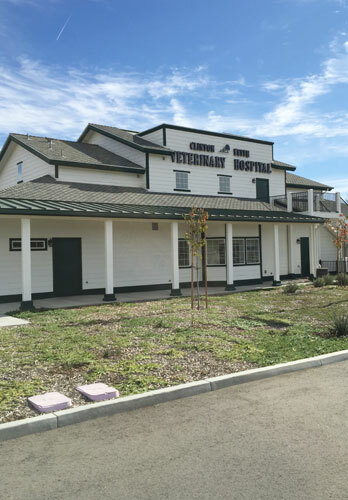 We installed this shingle roof on a newly constructed veterinary hospital in Wildomar, CA. The roof consists of standing seam roofing and GAF Grand Sequoia shingles. Jarco Roofing & Solar provides quality commercial roofing installation services in Wildomar, Canyon Lake, Menifee, Murrieta, and surrounding cities. 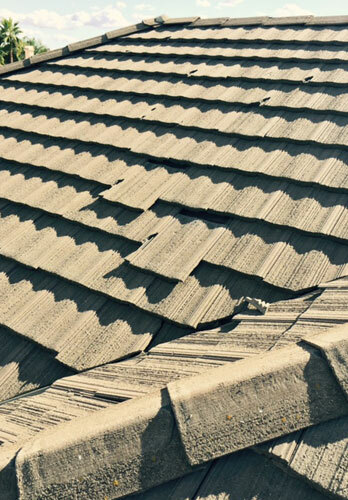 We repaired these broken and slipped tiles on a home in Temecula, CA. Roof repair and maintenance is required to help avoid roof-related damages. If left unattended, a damaged roof could result in leaks and underlayment deterioration. We repaired the damaged cricket area on the roof of this commercial building. 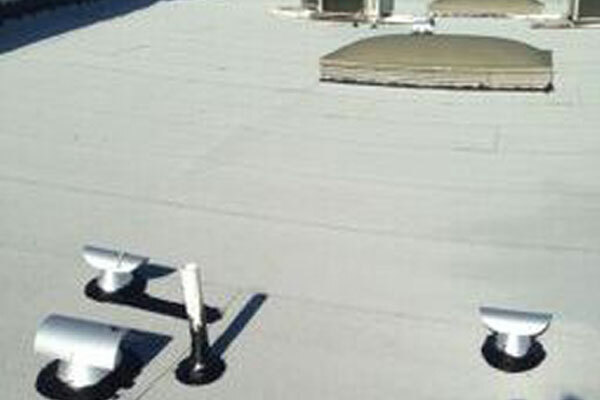 Jarco Roofing & Solar provides the best value for commercial roof repair in Murrieta, CA. 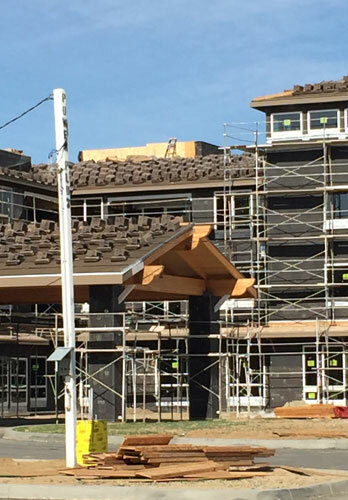 We built this Boral concrete tile roof for a newly constructed senior living facility in Murrieta, CA. We specialize in roof system installation for new construction and roofing maintenance services for existing roofs.